There are currently five science investigation teams participating in the VIM. The science teams for these investigations are currently collecting and evaluating data on the strength and orientation of the Sun's magnetic field; the composition, direction and energy spectra of the solar wind particles and interstellar cosmic rays; the strength of radio emissions that are thought to be originating at the heliopause, beyond which is interstellar space; and the distribution of hydrogen within the outer heliosphere. 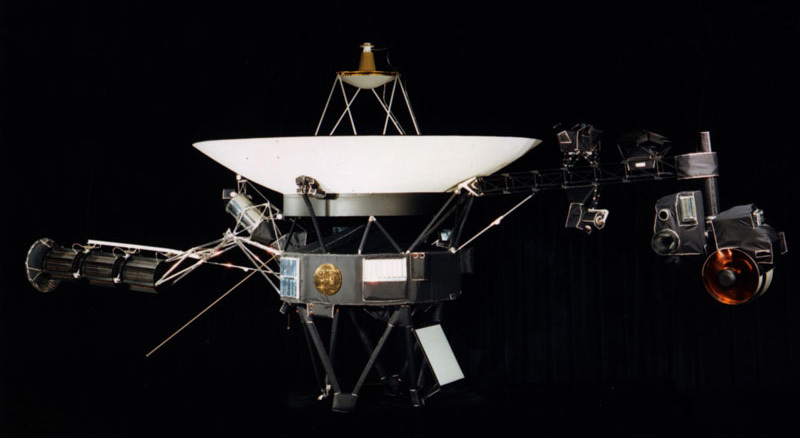 There are 4 operating instruments on-board the Voyager 1 spacecraft. These instruments directly support the five science investigations teams. The Planetary Radio Astronomy Investigation (PRA) is no longer working on the Voyager 1 spacecraft and the Ultraviolet Spectrometer Subsystem (UVS) is no longer working on Voyager 1 or Voyager 2. Science data are returned to earth in real time at 160 bps. Real time data capture uses 34 meter Deep Space Network (DSN) resources with the project goal to acquire at least 16 hours per day of real time data per spacecraft. This goal is not always achieved due to the competition for DSN resources with prime mission projects and other extended mission projects. Three times per week, Voyager 1 has 48 seconds of high rate (2.8 kbps) PWS data recorded onto the Digital Tape Recorder (DTR) for later playback. Voyager 1 has six playbacks per year. The playbacks require 70 meter and 34 meter DSN support for data capture. After transmission of the data (either real time or recorded) to JPL, it is processed and made available in electronic files to the science teams located around the country for their processing and analysis. Voyager 1 was launched in September 1977 and flew by Jupiter and Saturn. 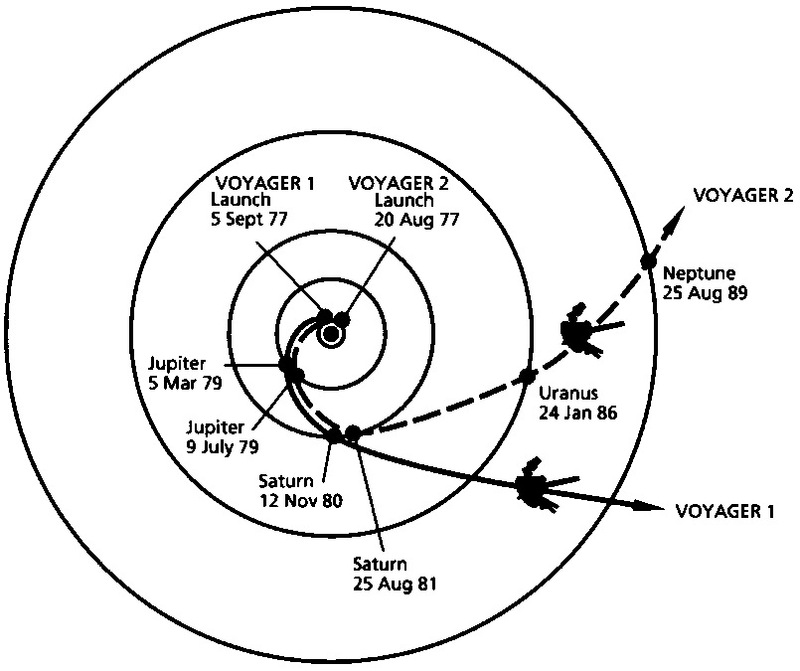 Voyager 2 was launched in August 1977 and flew by Jupiter, Saturn, Uranus and Neptune. Both spacecraft are now headed out of the solar system into interstellar space.